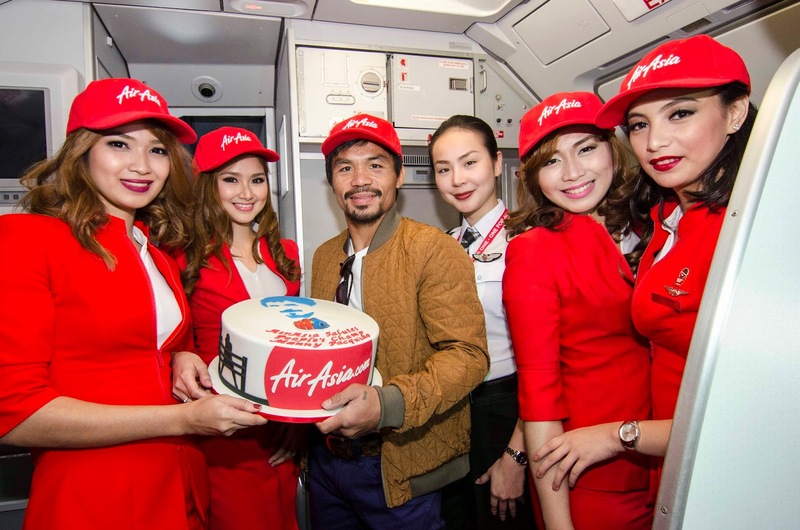 AirAsia flight and cabin crew give People’s Champ, Manny “Pacman” Pacquiao a surprise cake on board his flight from Macau to General Santos City. Two AirAsia jets with 360 passengers on board arrived in Pacman’s home province at 4:48PM. 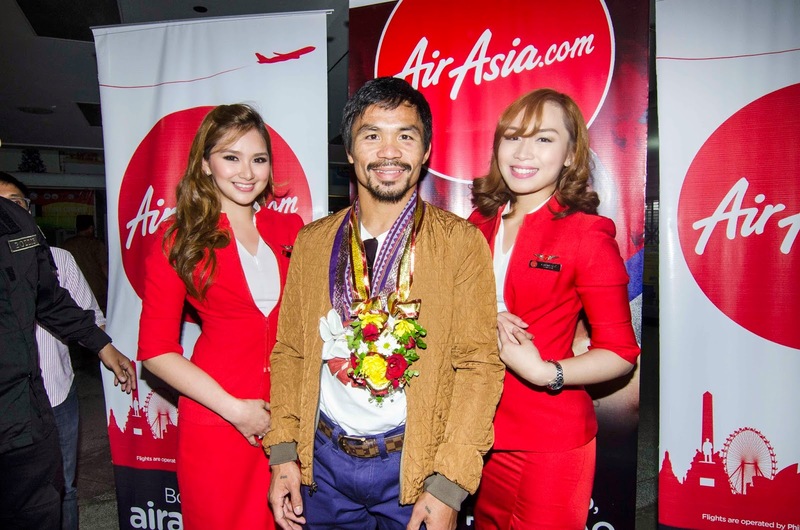 People's Champ, Manny "Pacman" Pacquiao gets full military honors from Army Reserves Command upon arrival in General Santos City International Airport on board AirAsia flight from Macau.